Modern marble and metallic decor – not to mention lots of sequins – elevate this chic industrial barn wedding inspiration! 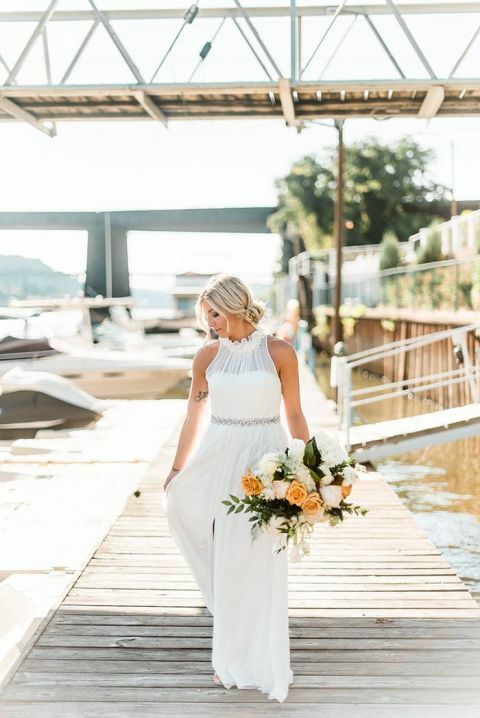 Dawn Derbyshire Photography and JPC Event Group teamed up to create a shoot to showcase the a new venue at Aspinwall Riverfront Park and the result could not be more gorgeous! 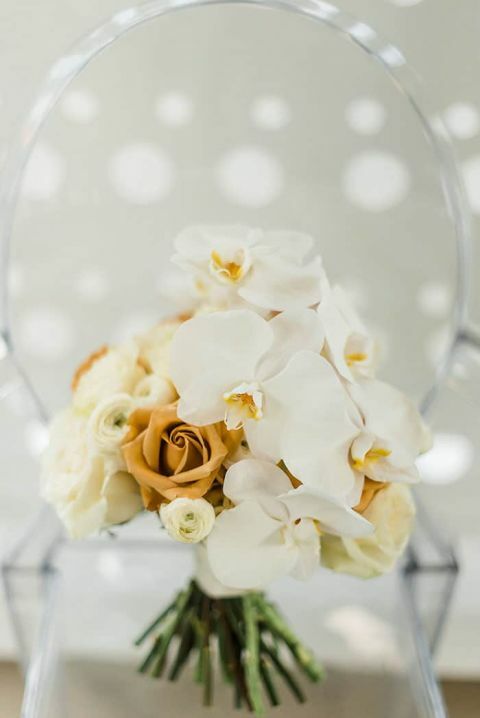 Bold color, modern sparkle, and chic marble details combine for an incredibly memorable wedding day! The enormous industrial hangar space along the Alleghany river was transformed from a stark white barn into a modern haven, once JPC Event Group began to work their magic. A bold color palette of teal and copper, with marble and sequin accents, was perfectly in keeping with the chic, modern space. To create a welcoming atmosphere in the towering space, they created an avenue of long guest tables arrowing straight to a gorgeously decked out Sweetheart Table. Silver sequins, an abundance of modern white flowers, and a geometric backdrop created an eye catching focal point in the enormous barn. Each table showcased a different spin on fresh and minimal wedding design, with a mix of geometric prints, metallic decor, and touches of modern marble. Hand lettered copper table numbers identified each space, along with unique tablescapes that united the common colors. The lush riverbank just outside offered stunning vistas and splashes of natural sunlight. The setting proved to be an ideal location for bridal photos, with breezes whisking off the water to add a touch of drama. 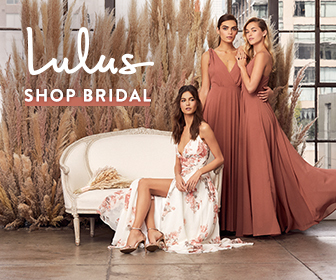 For the bride, they selected a fashion forward look with a high neckline and flirty front slit, paired with Garnish Event Design’s modern white and gold bouquet. 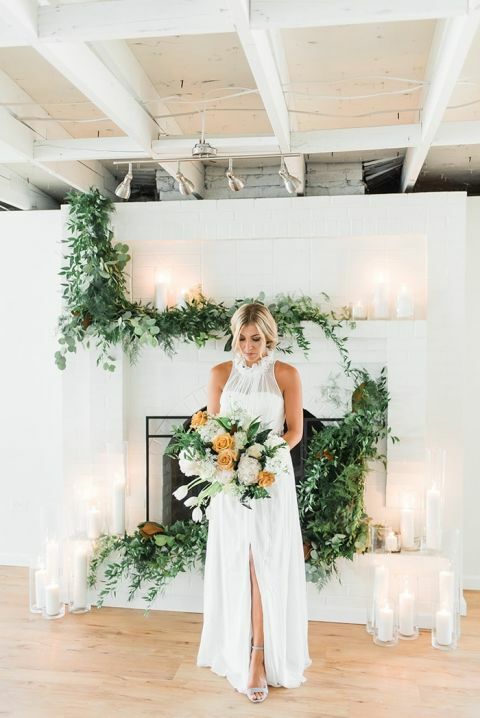 The sweetly minimalist look suited the indoor ceremony space, with a white brick fireplace echoing the industrial charm of the reception hall. 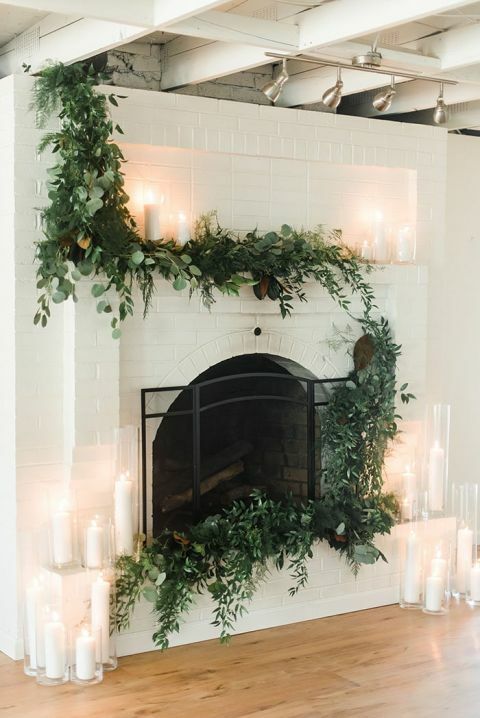 To balance out the clean interior, the team dressed the mantel with a garland of fresh greenery adding an organic touch. Dozens of enormous pillar candles added rich light to the wrought iron fireplace. 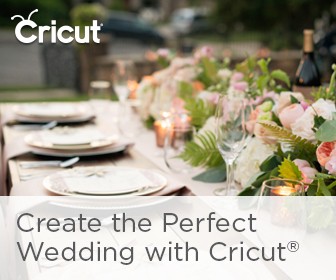 After the ceremony, the bride changed into an off the shoulder lace midi dress for a hint of boho chic style!